The bill was registered into the database of the Verkhovna Rada, Ukraine's parliament, late on March 14. 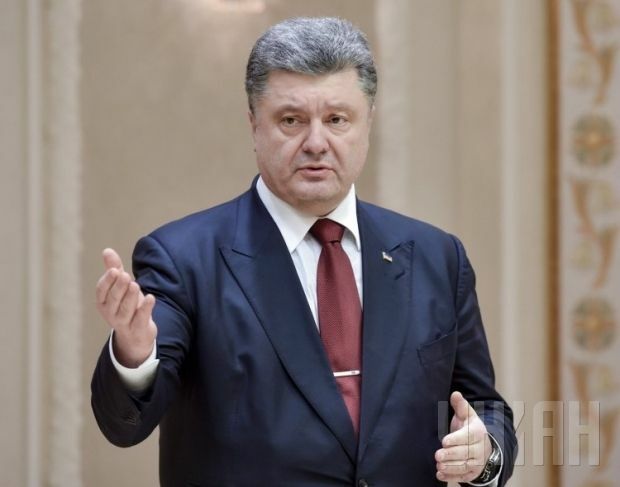 Ukrainian President Petro Poroshenko has submitted a bill to parliament which designates districts in eastern Ukraine as those that could be subject to special self-government procedures, Radio Svoboda reported. Ukraine's National Security and Defense Council last Thursday decided on the areas in Donetsk and Luhansk regions which could get special self-government status. However they said that the areas captured by Russian-backed militants after September 19, 2014 would not be included. Under the Minsk deal agreed to on February 12 after talks between the leaders of Ukraine, Russia, Germany, and France, Ukraine's parliament was scheduled to adopt the 'special status' law on March 14. Under the agreements, permanent legislation on the 'special status' law was to be brought in by Ukraine no later than 30 days after signing the Minsk agreement. Denis Pushylin, one of the separatist leaders of the self-proclaimed Donetsk People's Republic ("DPR") announced on March 14 that he saw no point in Tripartite Contact Group meetings until the Verkhovna Rada grants 'special status' to certain districts in Donbas. He accused the Ukrainian authorities of violating the Minsk agreements in this regard, saying that the DPR was waiting clarification of the delay from Kyiv.